Kandahar Knights and Paktia Panthers lock horns with each other on Wednesday from 21:30 IST at the Sharjah Cricket Stadium in UAE. Having turned their fortunes around with a much needed triumph against Nangarhar Leopards, the Knights will be hoping for a favourable result in a bid to push for a spot in the semi-finals. The previous encounter between these two teams made for gripping viewing. Defending a rather paltry total of 127, the Panthers bowled remarkably well to clinch the thriller by a mere nine runs. Following a couple of low scores, Mohammad Shahzad roared back to form with a splendid 78 against Nangarhar. The belligerent opener is in his elements when he throws caution to the wind and takes on every bowler. If he is able to pick the change in pace, Paktia's skipper can place the Kandahar seamers under enormous pressure. 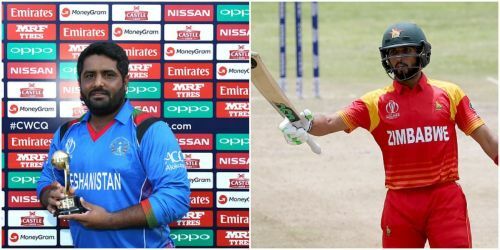 The spate of underwhelming performances from Kandahar's misfiring openers means that Ihsanullah Janat comfortably makes the combined fantasy lineup. Brendon McCullum desperately needs a score to get into the groove. Perhaps, reduced expectations can help the veteran wind back the clock. Sikandar Raza's batting has been boom or bust thus far. A couple of impactful fifty-plus scores are interspersed by a few minimal ones. It's anyone's guess as to what he may have in store for us this time around. Since his entry into Kandahar's playing eleven, Riki Wessels is showing considerable promise. Karim Janat's sprightly hitting shored up Kandahar's flagging batting against the Leopards. His medium pace is proving to be useful too. As always in any form of white-ball cricket, Shahid Afridi's stifling leg-spin can be relied upon during the middle-overs. With his intelligent variations in length and pace, Isuru Udana has established himself as a dependable seamer for the Panthers. He is currently on top in the list of leading wicket-takers in the inaugural APL season. Factoring Kandahar's vulnerable batting lineup into account, the left-arm seamer is likely to continue his productive form. In what has otherwise been a disappointing season for their team thus far, the seam combination of Sayed Shirzad and Waqar Salamkheil are among the few bright spots for the Knights. The left-arm duo's pace may be relatively modest. But their relentless accuracy has made it difficult for opposition batsmen to formulate feasible plans.